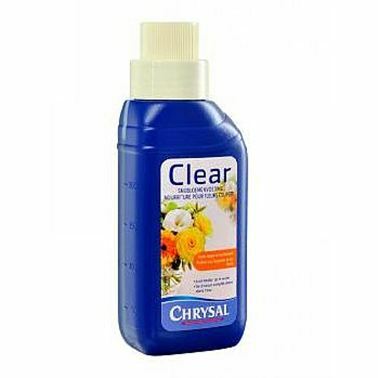 Chrysal Liquid Cut Flower Food is suitable for vase arrangements & floral foam. It is designed for the development of cut flowers, and extends the vase life by more than 100%. Dosage: 30ml per litre of water. See the product fact sheet here.